Experience New Zealand’s ancient geography, fly between towering mountain peaks and above glacial carved valleys. See the stunning blue ice and crevasses and land to stand among these amazing giant ‘rivers of ice'. 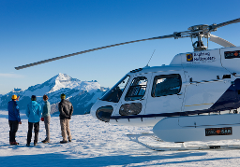 Get up close and personal with Mt Aspiring on this premium flight. See the blue ice and giant glacial fields associated with the pinnacle of Mt Aspiring. Fly over breathtaking vistas of the National Park. Includes two landings. Wonder at the expanse of the glacial carved Lake Wanaka with a birds’ eye view over New Zealand’s fourth largest lake. Enjoy a mountain-top landing on the Buchanan mountain range for photos with a stunning backdrop. 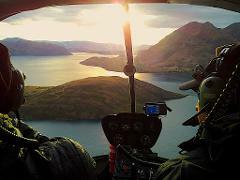 Experience the best of Mt Aspiring and Fiordland National Parks on this extensive scenic flight. View remote mountain lakes, snow capped peaks, Milford Sound, rugged rainforest clad coastlines and the stunning Southern Alps - 4 landings. 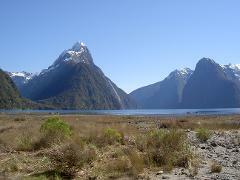 From the Matukituki fly over remote mountain ranges to the West Coast and Milford Sound. 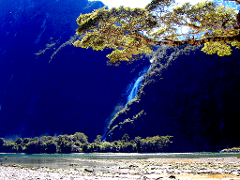 Enjoy a nature walk and photo opportunity with Mitre Peak. 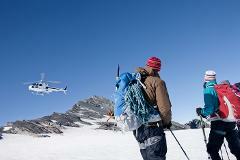 Return via the stunning Southern Alps with a bonus glacier or snow landing. Marvel at the Matukituki Valley and its surrounding mountain peaks. 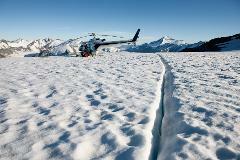 Enjoy a pristine snow landing on the border of Mt Aspiring National Park with extensive views across the Southern Alps.